The Fujifilm X-T2 is one of our favourite cameras at the moment, but Fujifilm thinks it can be even better. As we've seen with previous models, the company regularly updates the firmware of its cameras to improve operability and add new functions. 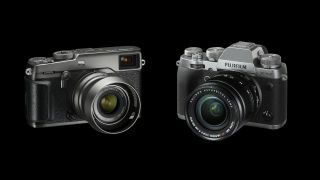 To that end, Fujifilm is announcing a total of 30 updates for the X-T2 and 19 for the X-Pro2. The first round of updates will be made available in the next few days, with the second batch due to arrive in late May. With the update, set the ISO 'A' position to Command to adjust ISO sensitivity across the full range, including extended ISOs, with the Front Command Dial. The update adds an AUTO option for the minimum shutter speed in the ISO Auto setting, which allows the camera to automatically define the minimum shutter speed according to the focal length of the lens attached. The update adds AF-C Custom Setting for specifying focus-tracking characteristics. Choose from five presets according to your subject's type of movements. The update allows you to move the position of focus frame while enlarging it in Single Point in the AF-S mode, or in the Manual Focus mode. With the update, half-press the Shutter Release button or press the button assigned to AF-ON function during video recording to re-initiate autofocusing. The update optimizes the external microphone's input level (lower limit revised from -12dB to 20dB) to reduce white noise when an external microphone with preamp is connected. The update adds the Eye Sensor + LCD Image Display option in the View Mode that allows you to shoot through the viewfinder and check images on the LCD, just as you would with a DSLR. The update shortens EVF's display time-lag in the AF-C mode. The update allows you to assign a specific name to Custom Settings 1-7. The update allows you to register the photographer's name and the copyright holder's name in advance, so that the camera automatically adds the information to EXIF data for each image. The update enable you to record 30-second voice memo clips in the Playback mode. The update extends AE Bracketing from the current three frames +/-2EV to up to nine frames +/-3EV. You can set the Shoot Without Card mode to off so the camera can't shoot if an SD card isn't inserted. With the update, select All in the AF mode so that you can select the AF mode and Focus Area size by only using the Command Dial. With the update, you can specify different settings for AF-S and AF-C in Shutter AF and for AF-S / MF and AF-C in Shutter AE. Additional options of -6 and -7 to the EVF Brightness setting so that, even in extremely low-light conditions, the brightness of the EVF doesn't distract you from shooting.